As the world gradually makes its shift from widespread fossil fuel usage to renewable, green energy, wind power has grown substantially. It’s a rise which has seen the number of installed wind turbines rise from 225,000 at the end of 2012 to more than 340,000 installed turbines by the end of 2016. Today, wind power is the leading source of new electricity generation in Europe, the US and Canada, and is the second largest in China. Over just four short years, the total number of wind farms has increased dramatically, but it’s not just the number of turbines being installed that’s moving forward – but the technology behind the turbines too. New innovations have come to wind turbines around the world, and the pace of development is only accelerating. At Dehum, we’re proud to support wind farms across the world with our class-leading wind turbine dehumidification systems which increase uptime, reduce maintenance and lower the risk of water-based damage to turbines. With some land-based wind farms meeting resistance from councils and local people, companies have turned to the ocean as a place to locate wind turbines. Here in the UK, thanks to our vast coastline and relatively shallow seas, hundreds of turbines have been installed offshore. But what of countries which don’t enjoy shallow waters? That’s where floating wind farms come in. Japan has been a leading tester of floating wind turbines and this year is set to see Siemens floating turbines being installed by Statoil off the east coast of Scotland. If successful, these turbines could open up the potential of offshore wind farming for many more nations. The biggest factor in the rise of wind turbine energy generation is a simple one – much larger turbines. 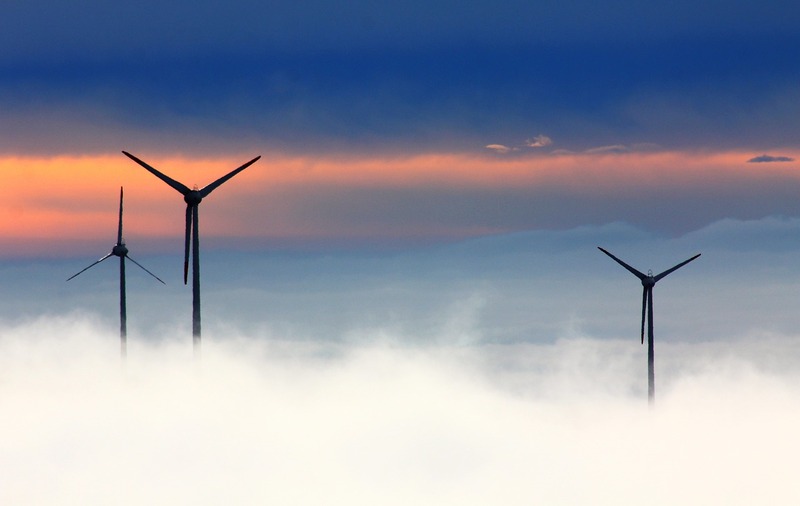 As turbines have made the move from land to see, the regulatory hurdles of massive turbines have disappeared, enabling significantly larger turbines and, therefore, more energy generated. Turbine manufacturers suggest that when you double the size of the turbine, you effectively half the cost for equivalent megawatt capacity. As manufacturing techniques improve, it’s expected that 15MW turbines could be available by 2024. Today’s most powerful turbine is 9.5MW, launched this year by Denmark’s MHI Vestas, the world’s largest turbine maker. It boasts massive 80-meter blades capable of powering more than 8,300 UK homes. With larger turbines comes more power, and more cost-effective operation too. One of the largest hurdles for wind power has been the fact that when there’s no wind, there’s no power, forcing nations to fall back on other sources. Batteries have long been theorised at the perfect accompaniment to wind farms, as they would allow extra energy to be stored on site, ready for use if wind speeds drop. However, these batteries have long been much too expensive to be commercially viable in the scale they’re needed. However, with demand increasing for high-capacity batteries to power things like automobiles, the costs of large-scale batteries are falling, helping to drive the growth of wind power even further.